With 2015 slowly drawing to an end, it’s amazing to look back and see what a year this has been for online gaming. New releases from legendary software providers like Microgaming, NetEnt, Rabcat and BetSoft made 2015 a year for the record books, with animation, graphics and special features taking online pokies to a whole new level. With so many incredible new pokies released in 2015 it’s hard to pick favourites, but we’ve narrowed the list down to 10 of the best titles of 2015, in no particular order. Dracula is a harrowing pokies game featuring some of the most exquisite animation we’ve seen outside of the cinema. NetEnt kicked the year off with a bang with this one and months later it’s still receiving rave reviews. The haunting character of Dracula sites alongside the reels at all times, adding an element of suspense during every spin, waiting to see if the Bat Feature will randomly trigger, turning Dracula into a cluster of bats who swarm the reels to change each symbol they land on into the same symbol, even wilds, producing some huge wins. This Rabcat production is one of the clear visual triumphs of 2015, boasting a beautiful backdrop of misty hillsides as the games female protagonist stands alongside the reels waiting to defeat the evil dragon. 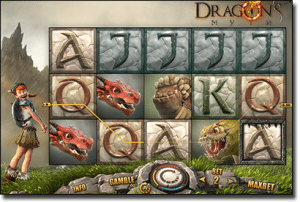 Along with free spins and a traditional gamble feature, Dragon’s Myth reminds us just how innovative online pokies can be with the addition of the Dragon Bounty bonus. This feature awards you every time you catch a dragon by landing a dragon symbol on the bottom right reel, until all four dragons are caught and you receive a cash prize. 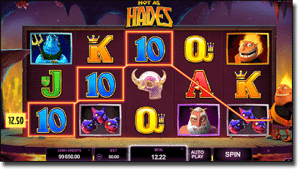 While Microgaming’s Hot as Hades uses fun graphics with a humorous twist on a Greek mythology theme, it really makes our list thanks to the fantastic bonus games within. Firstly, the game can randomly switch to Super Mode, awarding five free spins with additional wilds at any time, but it’s the Quest Bonus which is the real draw card. This bonus game allows you to level-up, making your way through several fabled lands to defeat all kind of mythical beasts before reaching the Crystal Helm for added rewards. The Quest Bonus is highly entertaining and adds a lot of value to this Microgaming release. Neon Staxx brings all the neon, electro vibes of the 80’s straight to our computers with this fabulously retro game, using a genuinely 80’s theme while still maintaining the crisp, high quality that we’ve come to expect from NetEnt pokies. The addition of the Super Staxx feature allows a stack of matching symbols to appear on the reels for boosted wins while scatters can award up to 20 free spins. Play Neon Staxx with the volume on to enjoy the synthesised 80’s sound effects. 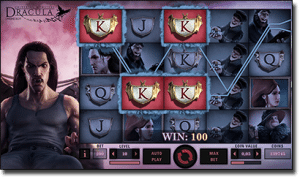 Rabcat has collaborated with Microgaming once again to form another of 2015’s most visually impressive pokies, following an Ancient Greek theme with all the Gods including Aphrodite, Zeus, Hades, Poseidon and Ares. 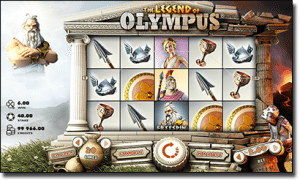 Along with free spins and a gamble feature, an appearance of three of the coin scatter symbol triggers the Legend of Olympus bonus game which has two fun guessing-game levels that bring the chance to win some tasty cash prizes. 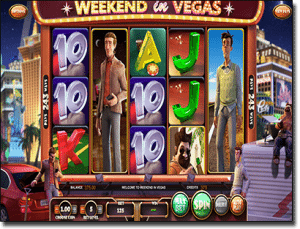 If you loved The Hangover, you’ll love BetSoft’s Weekend in Vegas pokies. Although this game isn’t technically based on the movie it’s hard not to see that Weekend in Vegas takes inspiration from the film. This 243 ways pokie game features three characters, Loony Larry, Balanced Ben and Cautious Chris on their weekend of debauchery in Sin City. Each character’s stacked symbol responsible for triggering a unique bonus game. 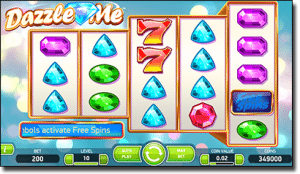 There are also free spins, re-spins, a double-up mini game and a money wheel to further ride the Vegas vibe. 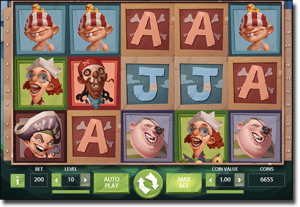 NetEnt’s pirate themed slot game Hooks Heroes was a hit around the online pokies circuit, with many casinos using this game for feature promos and bonus offers. Not only does Hooks Heroes use some of the animation of any game released in 2015, there are all kinds of bonus features going on including the Fairy Feature, Mermaid Feature and Pirate Feature that can be activated during free spins to boost your winning potential. A must play for the big kid within us all. An unlikely choice for a pokies game, but a highly anticipated and popular release of 2015 nonetheless. 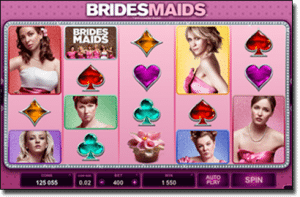 Microgaming’s Bridesmaids pokies is based on the hit Universal Studio’s film starring Kristen Wiig, Rose Byrne and Melissa McCarthy and rings true to the movie, with scenes and stills pulled directly from the big screen. Bridesmaids comes with a bunch of special features including four bonus games including the jackpot wheel which has the power to significantly multiply your active bet. Rugby Star may not be the most graphically advanced pokies of them all, but it makes our best pokies of 2015 list due to huge appeal for sports fans across the globe. Rugby Star was smartly released in conjunction with the Rugby World Cup, adding hugely to its appeal and bringing with it all kinds of enticing promo offers. 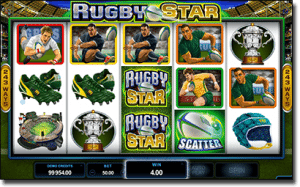 Rugby Star is a 243 ways game and features rolling reels, free spins with up to 10X multiplier and a Wild Pass feature which can randomly turn up to two entire reels wild at any time. Every now and then it’s good to simplify things, which is why Dazzle Me has earned a place in our top 10 list. This NetEnt slot uses a classic pokies format made up of gleaming gem symbols and traditional slot icons like lucky sevens and liberty bells and the result is a simple yet vibrant game that’s ideal for those who aren’t interested in the bells and whistles of computer games. 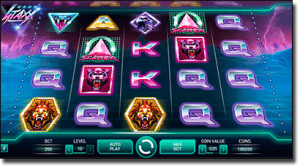 Dazzle Me contains plenty of special features for extra wins and its classic format makes it ideal for mobile play on smartphones and tablets. Try these games and hundreds more at any of our recommended casinos for real money bets or free play in demo mode. We recommend checking out Raging Bull Casino, our top-rated casino site for players from United States.